A mesmerizing novel set in Paris and a changing Istanbul, about a young Turkish woman grappling with her past - her country's and her own - and her complicated relationship with the famous British writer who longs for her memories. After her mother's death, Nunu moves from Istanbul to a small apartment in Paris. One day outside of a bookstore, she meets M., an older British writer whose novels about Istanbul Nunu has always admired. They find themselves walking the streets of Paris and talking late into the night. What follows is an unusual friendship of eccentric correspondence and long walks around the city. M. is working on a new novel set in Turkey and Nunu tells him about her family, hoping to impress and inspire him. She recounts the idyllic landscapes of her past, mythical family meals, and her elaborate childhood games. As she does so, she also begins to confront her mother's silence and anger, her father's death, and the growing unrest in Istanbul. Their intimacy deepens, so does Nunu's fear of revealing too much to M. and of giving too much of herself and her Istanbul away. Most of all, she fears that she will have to face her own guilt about her mother and the narratives she's told to protect herself from her memories. 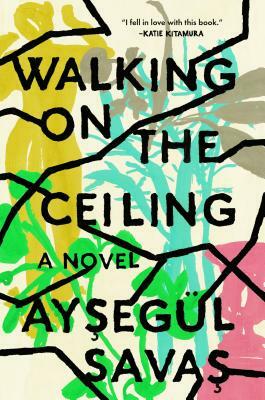 A wise and unguarded glimpse into a young woman's coming into her own, Walking on the Ceiling is about memory, the pleasure of invention, and those places, real and imagined, we can't escape.